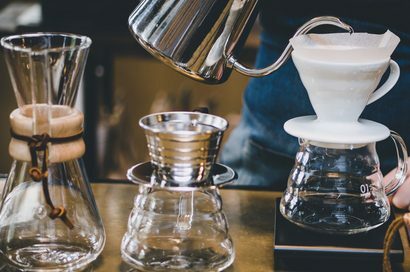 If you are reading this blog and you are a coffee lover, you will instantly (no pun intended) know that there is no real comparison between freshly brewed artisan coffee to that of instant coffee! Instant coffee is processed and does not hold the same amount of flavour of coffee beans that have been ground and brewed. Fresh coffee and instant coffee both start out life in exactly the same way, a ruby red cherry, picked when ripe from many countries around the globe. 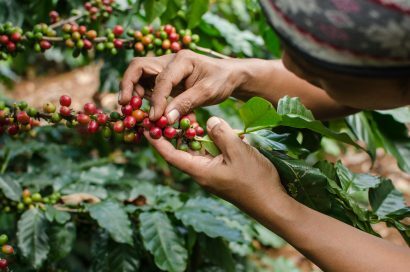 All of the coffee producing countries are positioned along the bean belt with optimum climate conditions. After the raw green coffee beans have been roasted the beans are put through an extensive process, in a factory, to become the “just add water” type of coffee. There are numerous ways that the ground coffee is then dehydrated, and the instant coffee powder packaged into jars. Now screaming out for rehydration the instant coffee is spooned into a cup and the granules dissolve in hot water. 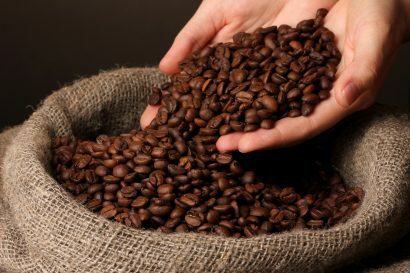 To compare, fresh coffee beans are roasted, ground and prepared in numerous ways for you to enjoy. The freshly roasted artisan coffee beans in the Quirky Coffee Co range can be brewed in so many ways – a cafetière, espresso machine, V60, Stove Top, Aeropress or filter, to name a few. 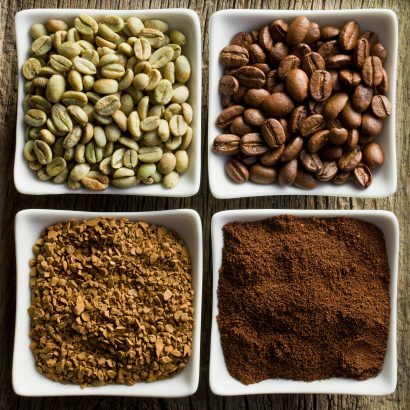 As we have already said instant coffee starts out exactly the same as freshly roasted coffee beans. The cherry to the deliciously roasted coffee bean. Of course, that is not where it ends for instant coffee, the process of the now ground coffee then starts a journey towards the jar! There are two types of methods that are used both of which will need to convert the liquid coffee into a dry form. The first is that the coffee is ground and brewed and then the liquid coffee is sprayed in a fine mist through hot, very hot and very dry air. Once the coffee lands the droplets of the brewed coffee will have dried into a powder. Spray drying is done at a very high temperature, which in turn affects the taste of the final product. However, this method is far cheaper than the next that we are about to tell you about. The second way of taking the coffee grounds to that of dissolvable granules is the freeze-drying method. Once again the coffee is ground, brewed but then chilled into a slushy consistency. The slush is put through the next phase of being further chilled until it is frozen. The quicker the process, the lighter in colour the instant coffee will be. If the process is slower it will ensure for larger, darker granules. Once the coffee is frozen the coffee is broken into pieces, being the size of the granules that you see in an instant coffee jar. The now frozen particles are taken to a drying chamber and under heat and vacuum the ice vaporises and is removed. So, why is it that speciality coffee and instant coffee taste so differently? This is most certainly a discussion that could go on for hours. Some will say they like the taste and convenience of instant coffee, some will say that that the taste is awful, lacks quality and a cheap alternative to freshly roasted coffee beans. Some may even say that it just tastes different! We have spoken to many people about the “just add water” subject and many, who do not like coffee at all, have only ever tried coffee by pouring hot water on instant granules. We argue that if you do not like coffee, and instant coffee is the only experience you have had, then you may just change your mind once you try something from the range in our shop. If you are unsure of what type of coffee to try first then perhaps something that has a more subtle intensity like our unique blend of Lonchura Malacca. Alternatively, a wonderful starting point into the world of speciality coffee would be a single origin – our Colombian La Laguna is not only one of our best sellers but a strong contender for the top spot amongst the Quirky Coffee Co team. 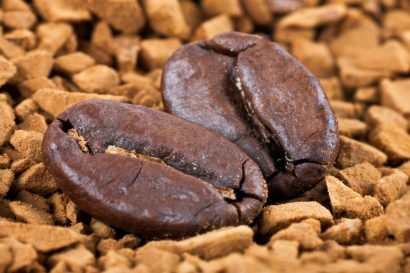 Instant coffee, in our opinion, is far more bitter than fresh speciality coffee however, taste and flavour will always boil down to the holder of the taste buds. We all like what we like but, we at Quirky Coffee Co want to introduce our customers to SPECTACULAR FRESHLY ROASTED COFFEE. We would love you to visit our Quirky Coffee Co range and see what will tickle your fancy.